In all of my studies about being a successful business person, there is one topic that comes up over and over again. Over the years I have received special requests from people in terms of custom designs and alterations to existing jewelry pieces. For me, it has been challenging to get to the root of what I can do to make my business better for my customers. Everyone is so encouraging and I get way more positive feedback than feedback about something that might be lacking. All up until the other week. I received a request and I got my back up. Let me explain. A friend of mine, Nicole Todd, came to me and asked me if I could design a bracelet to raise money for a good friend of hers. The friend’s name is Amanda. She is married with children and currently battling a rare form of cancer that can only be treated in Germany. Amanda needs to raise $200,000 to receive this treatment. Nicole’s idea was great. She wanted me to design a bracelet that she could sell to all of her friends and family that would represent her friend Amanda. She would call it the #amandastrong bracelet and do what she could to contribute to Amanda’s $200,000 goal. 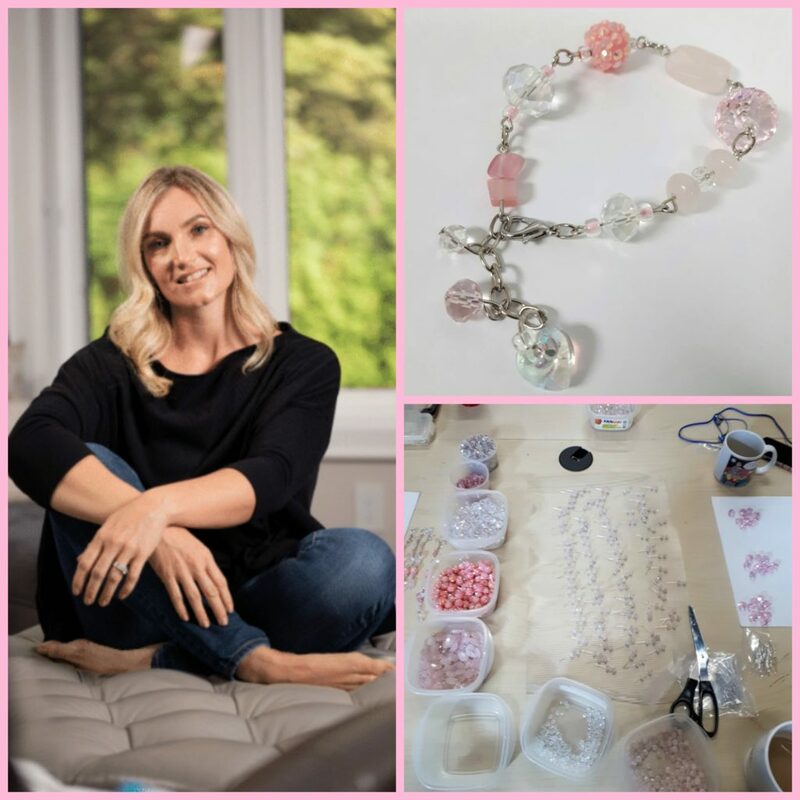 Nicole and I got into the nitty gritty of how my “Caring & Sharing” program with glamjulz works and I explained to her that she needed to order a minimum of 25 bracelets to obtain a significantly reduced price on her bracelets. Nicole had concerns. Her feedback was that she really wanted to go ahead but she had some reservation as to whether or not she could actually sell the 25 bracelets. She asked me if she could just get a picture of the bracelet, show it to some people and use it as a way to get pre-orders. This is where I got my back up. In my head I was thinking, this is not my process, come on, everyone knows 25 people, this is such an amazing offer, why can’t Nicole just take the risk? Nicole wrote a beautiful facebook post about Amanda and how she wanted to help. She showed the picture of the bracelet of course and was very clear about her goal. She tagged me in her post and over the next 24 hours I was alerted with comments on her page. “I’ll take one”, “Can you make this post shareable?” “I’ll take two” and so on and so on. Within 24 hours Nicole had pre-sold 75 bracelets and by the end of the week 144! I am so happy that I listened to Nicole and let her take the reins. Nicole, without realizing, taught me so much about listening to my customers. She also saved me from my stubbornness. She freed me from the way I thought I should conduct my business and reminded me of my passion and why I am doing this in the first place. Empowering women to change the world and make a difference in any way they can! That’s the kind of world I LOVE to work hard for. Nicole has set a new goal of selling 1,000 bracelets for Amanda, I have no doubt she will exceed that! If you would like more information on the #amandastrong bracelet you can click HERE to read Nicole’s post. Click HERE if you would like to watch a facebook LIVE interview I had with Nicole the other week (pardon the camera angle, you might just want to watch this one on your phone) Thank you so much for the love and support, Nicole is also looking for amabassador’s to help her reach her goal, if you want more info on that just click HERE!